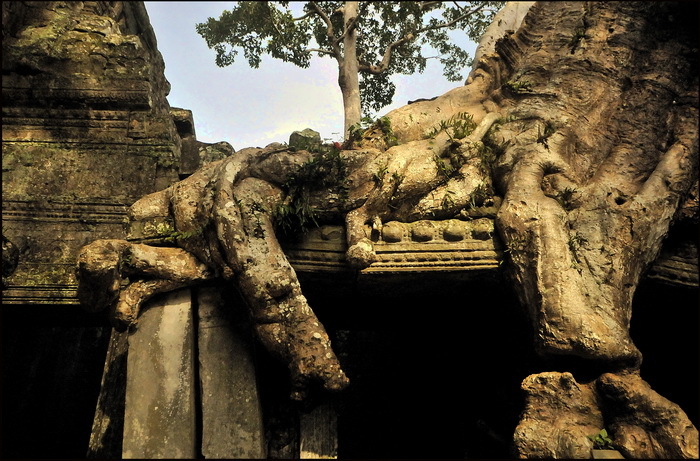 Can’t go wrong really with giant roots and towering trees, mysterious carvings and jungle-clad ruins so here’s another selection of photos of Preah Khan and Ta Prom temples in Cambodia’s Angkor temple complex, taken on our recent Saigon to Angkor Overland small group tour. 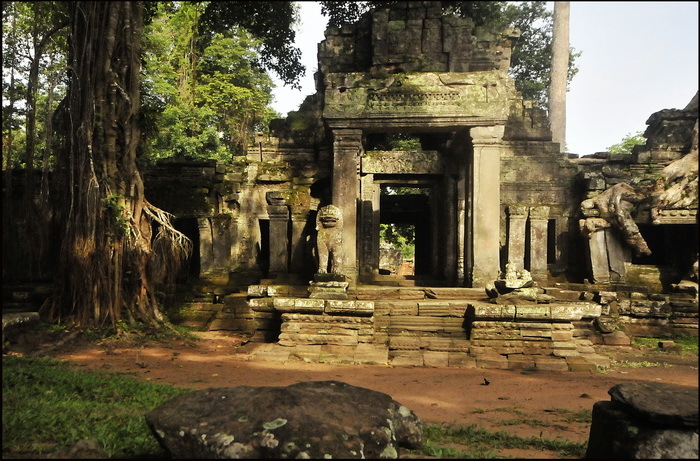 Preah Khan, as with the more high profile Ta Prom, is a late 12th century Buddhist temple built during the reign of Jayarvarman VII. 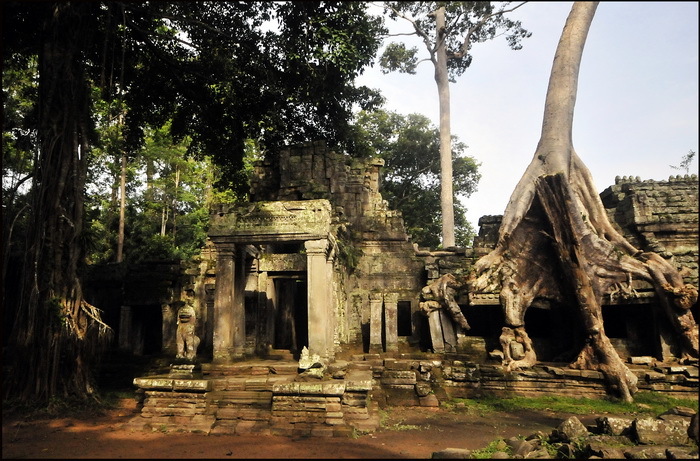 The former is considered to have been dedicated to the king’s father and the latter to his mother and indeed layout and style of the two sprawling temple/monastery complexes are compatible. 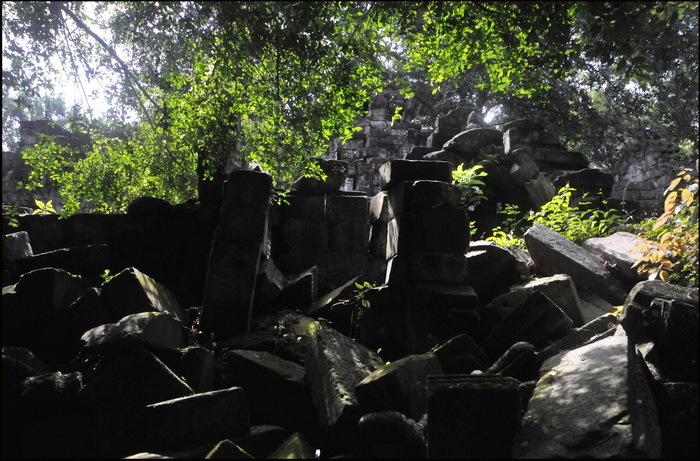 The current state of both sites is also very similar with wide scale destruction by the elements evident at both as Jayarvarman’s massive building progamme lead to some hasty construction efforts hence despite these two temples being some of the most recent at Angkor they are in far worse condition today than many earlier, but more carefully constructed, sites. 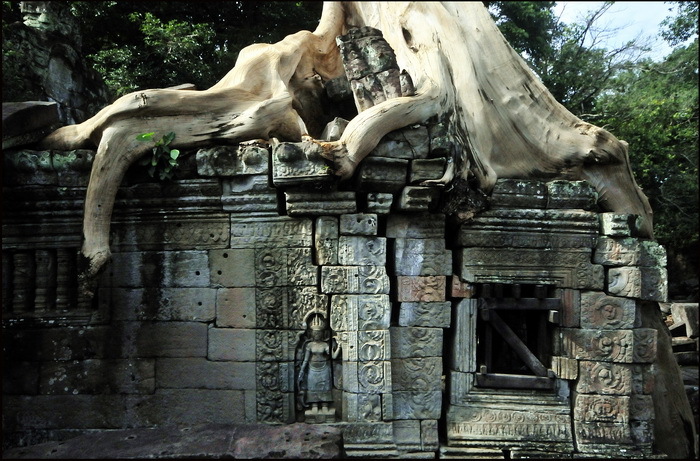 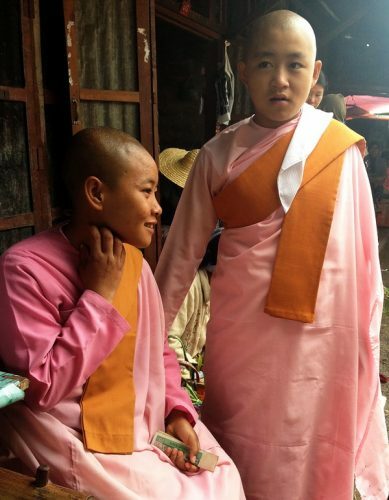 Preah Khan is not quite so high profile as Ta Prom and receives less visitors – all of which is good news and makes the temple a personal favourite of most of our guides and tour-leaders. 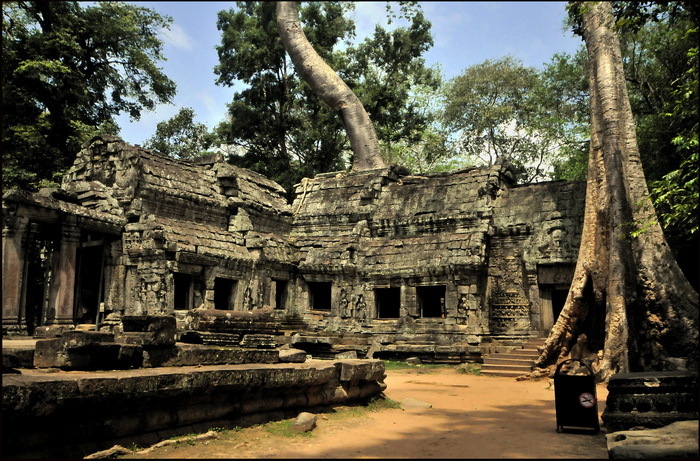 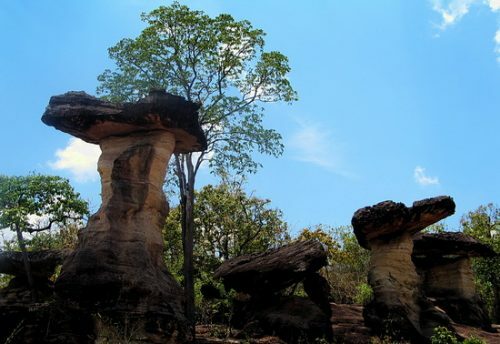 In order to optimize our visits we head to Preah Khan early in the morning and Ta Prom late afternoon. 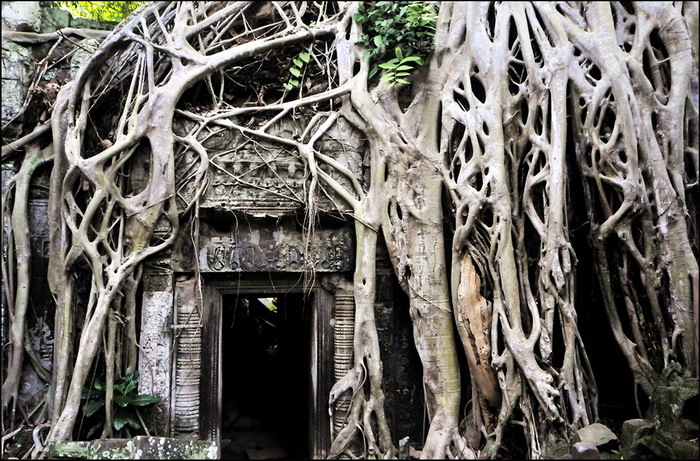 Ditto – probably the most photographed doorway at Angkor! 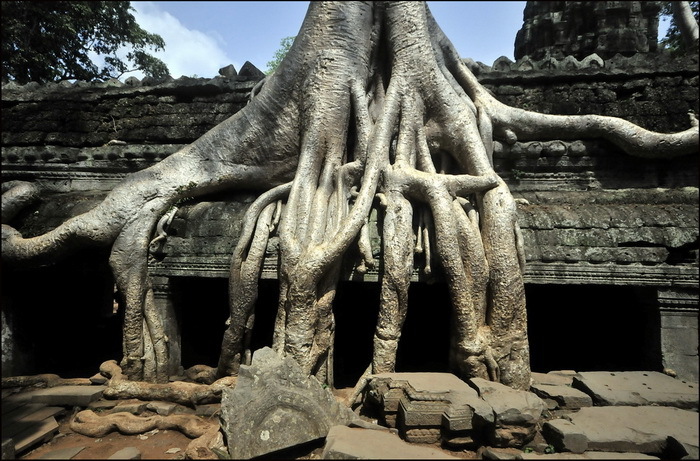 Difficult to see if the wall’s holding the tree up or vice versa!? 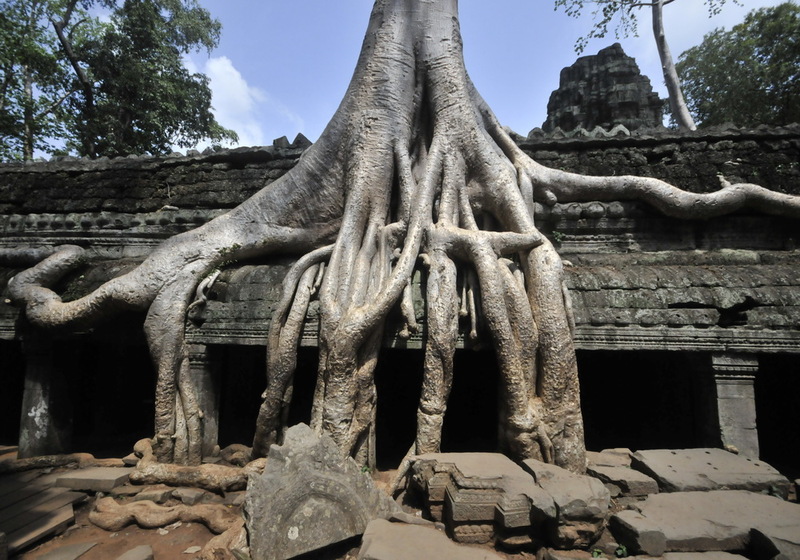 FYI below is our Angkor temple programme in full. 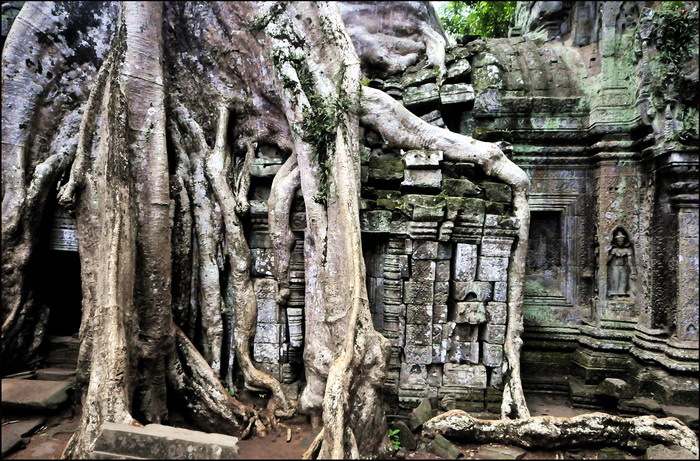 If you’ve read up a bit on the site you may notice our itinerary bears little resemblance to standard ones recommended by guides and guidebooks but our reasoning is to perhaps sacrifice optimum light conditions in order to; a. minimize the crowds, b. avoid the hottest parts of the day and c. provide a leisurely schedule without trying to rush around and tick off as many temples in a short a space of time as possible. 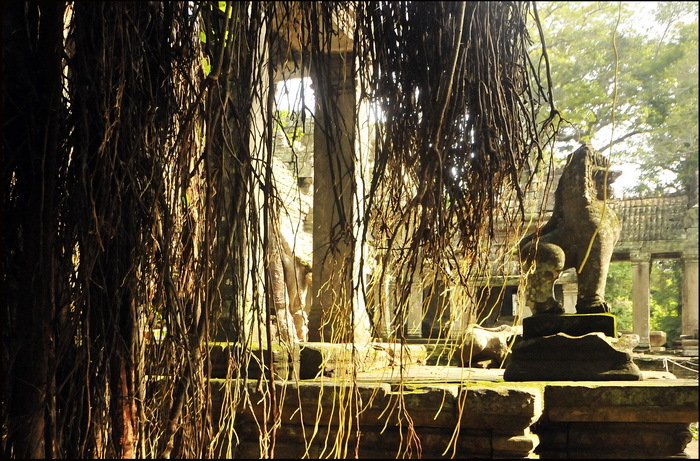 There’s little point in having ideal light at Bayon Temple if the atmosphere and your photo opps. 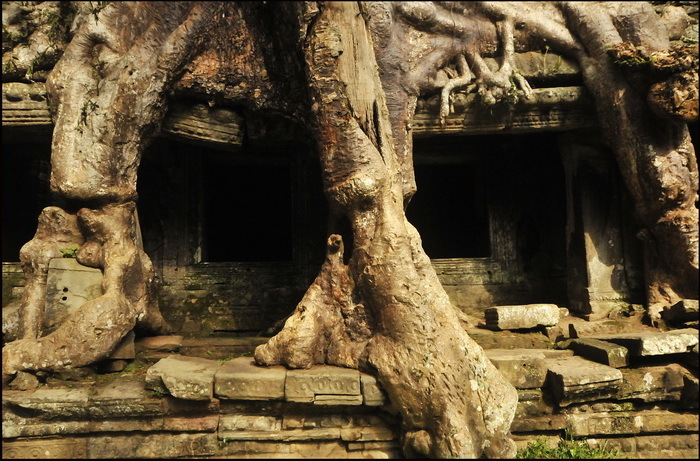 are ruined by hoards of tourists!